In 2015, Congress will once again debate transportation funding at the federal level. It would be in the best interests of the nation for them to fix the perpetual shortfalls in the Highway Trust Fund and set the country on a path toward a 21st century infrastructure. It is important to note that all of the states that have acted thus far, and those working to do so this year or beyond, are doing so in expectation of ongoing federal support. Governors and legislators have acted because states face growing needs and static or falling revenues. The situation has been made worse by federal funding that has remained flat as costs have risen, and could grow disastrously worse should Congress reduce federal support in the upcoming renewal of the national program. Regardless of what happens in Washington, states know that Congress will never appropriate enough support to close the gap needed to address maintenance backlogs and build for the future. Governors and legislators recognize that they can be leaders on this issue, working across party lines, generating new funding mechanisms, and creating new coalitions in support of transportation investment. 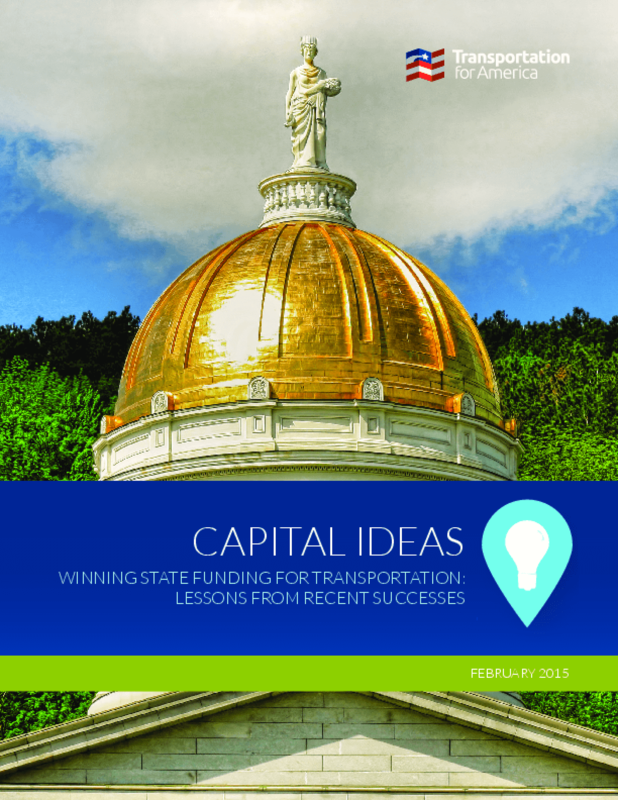 The strategies and examples discussed in this report are intended to be a helpful guide for those emerging leaders as they navigate the unique context of their own individual states to pass transportation revenue legislation, and in turn, set an example for others to follow in the future. Copyright 2015 Transportation for America.